The new V60 has been developed to push the boundaries of the V Class range even further, with a level of detailed design and style to set the future direction for the ultimate in open air cruising. 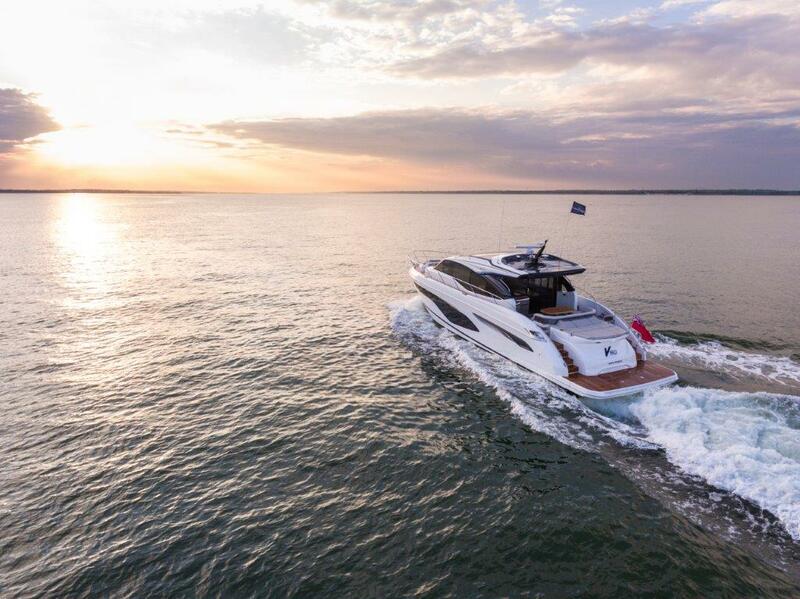 The new Princess V60 has been developed to push the boundaries of the V Class range even further, with a level of detailed design and style to set the future direction for the ultimate in open air cruising. 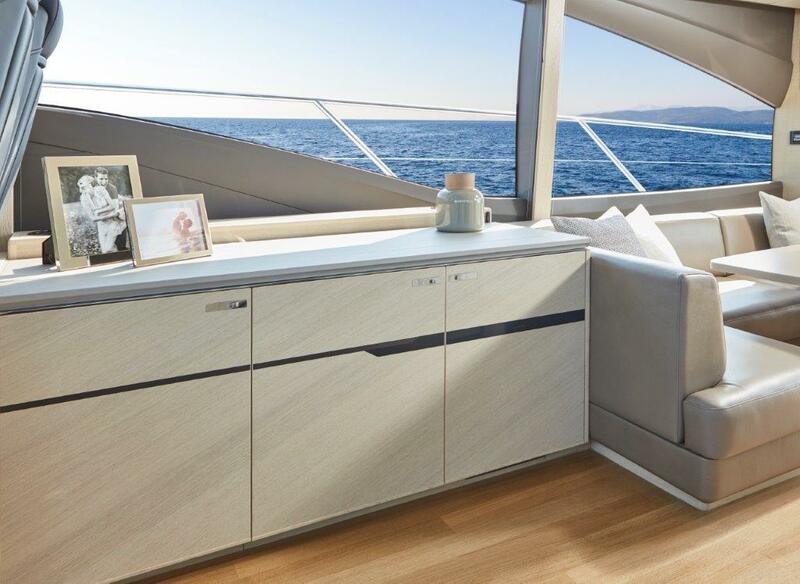 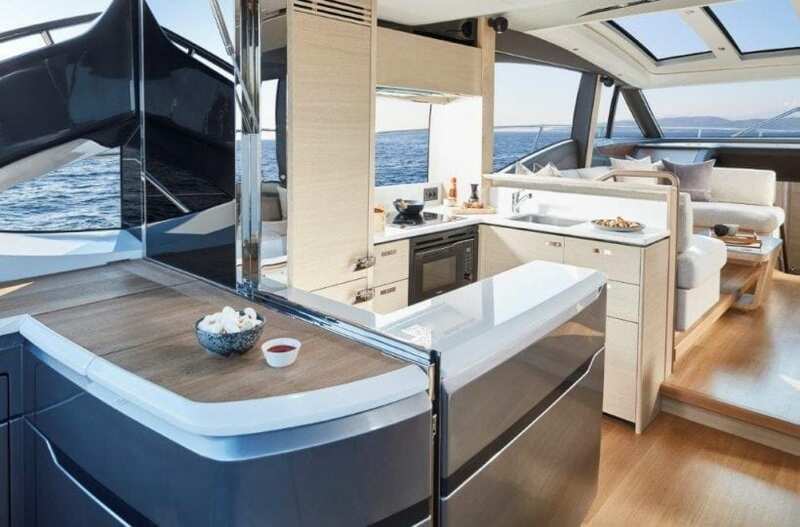 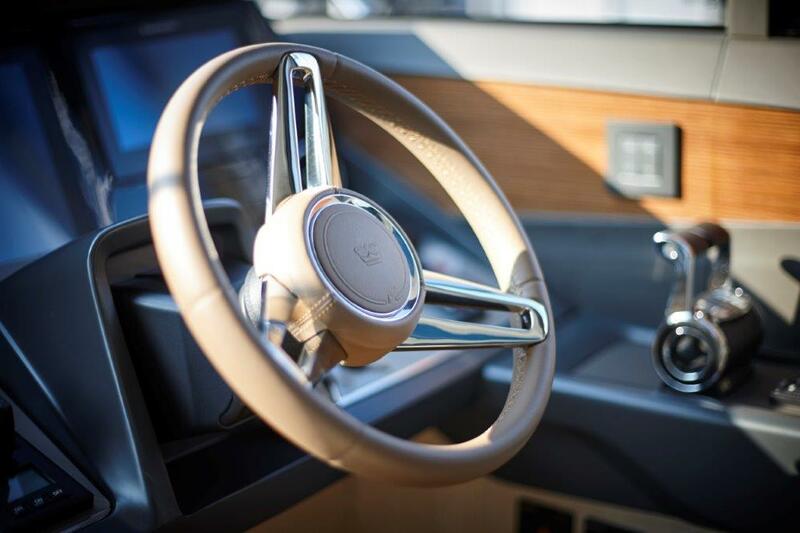 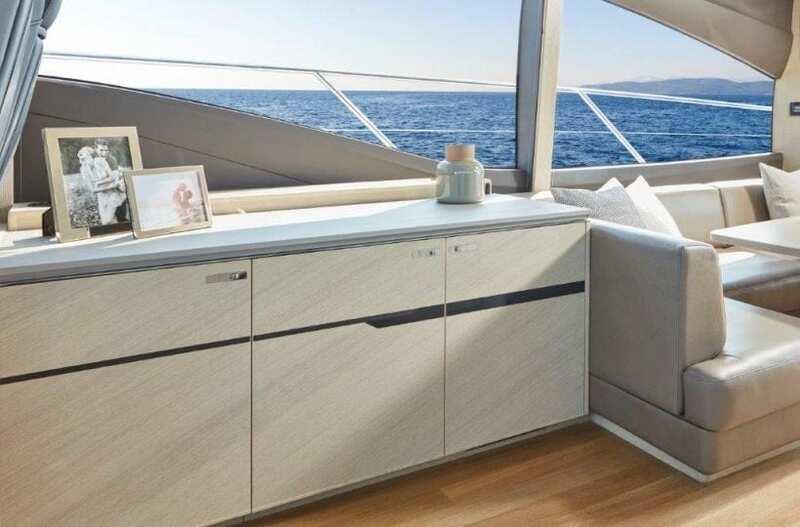 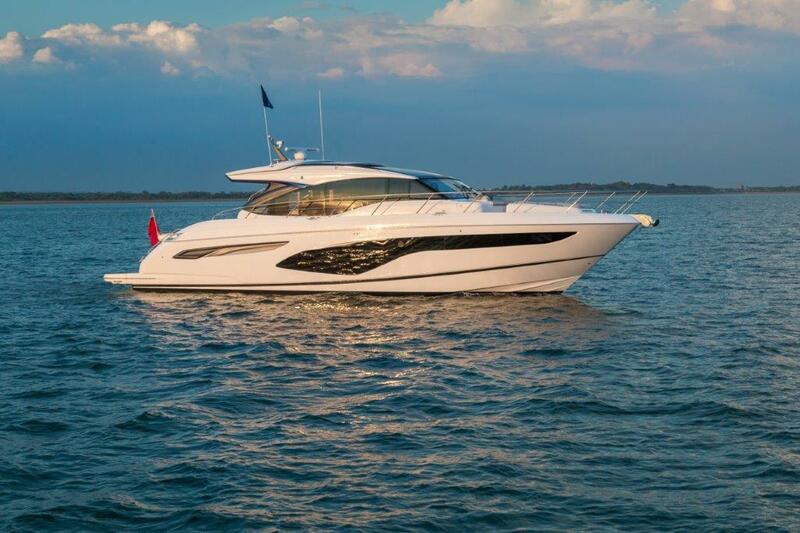 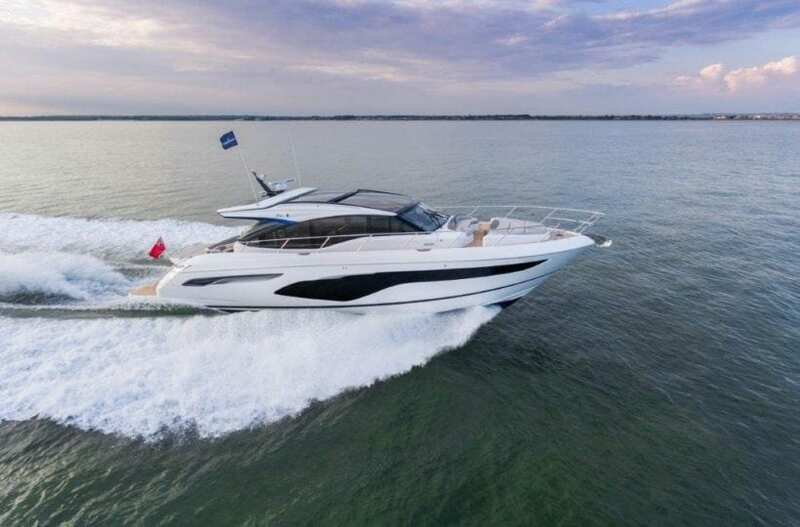 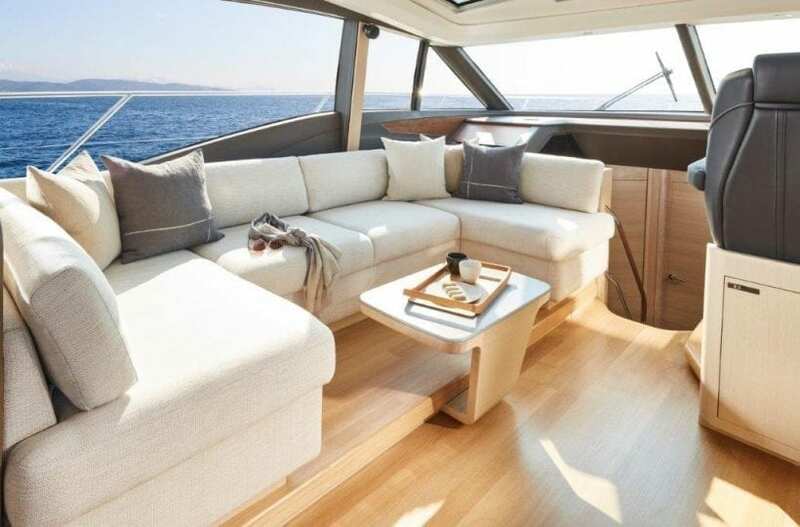 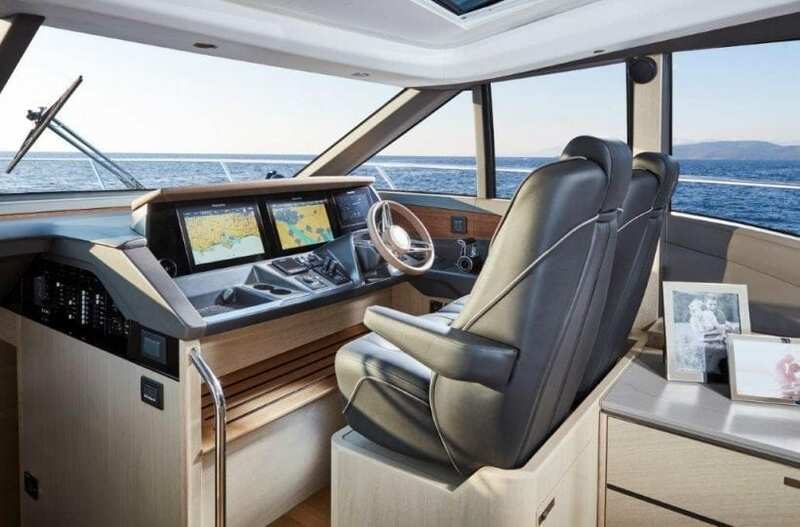 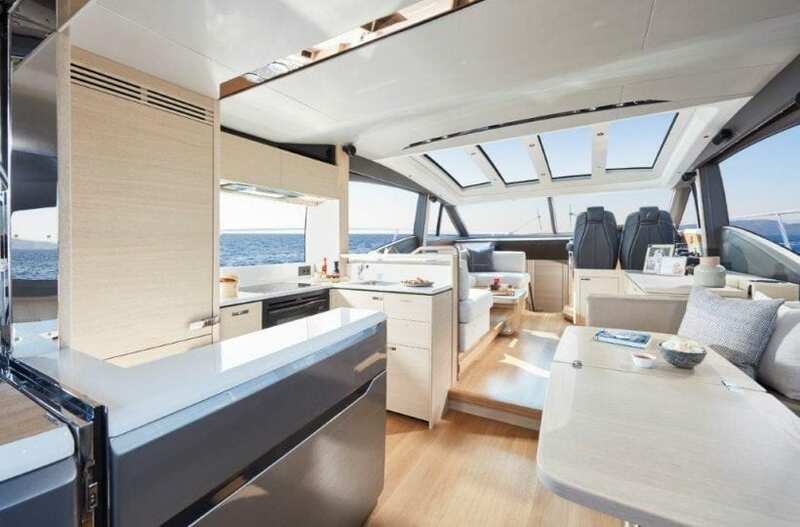 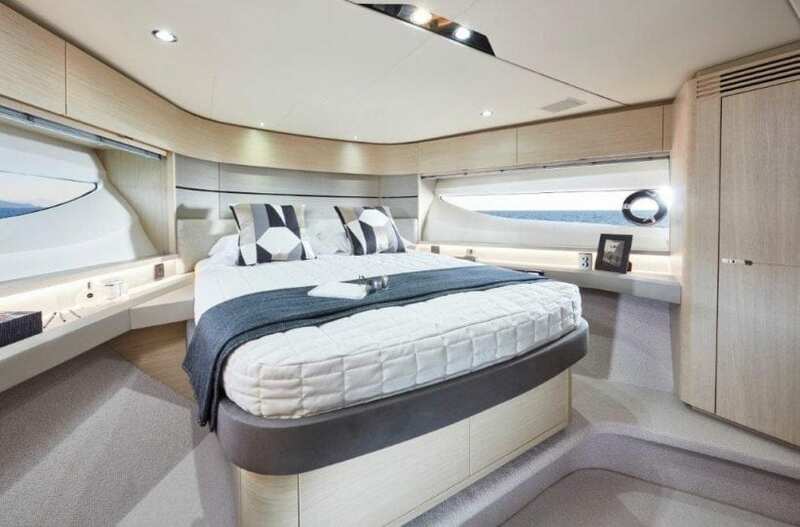 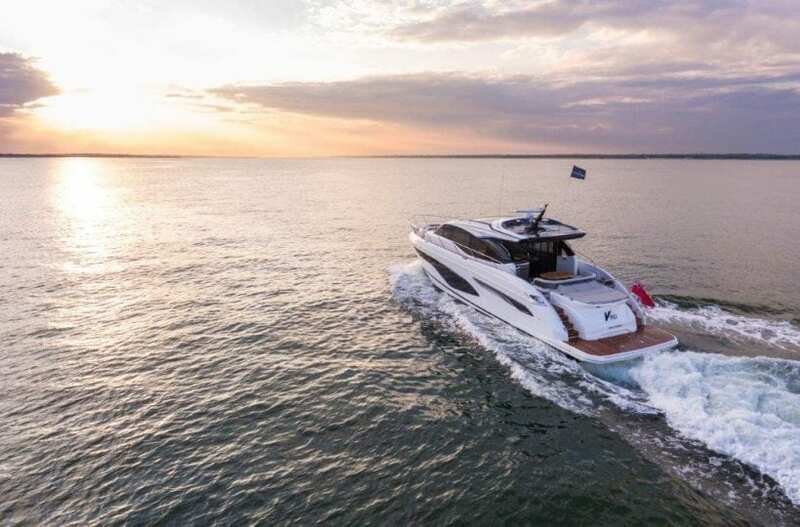 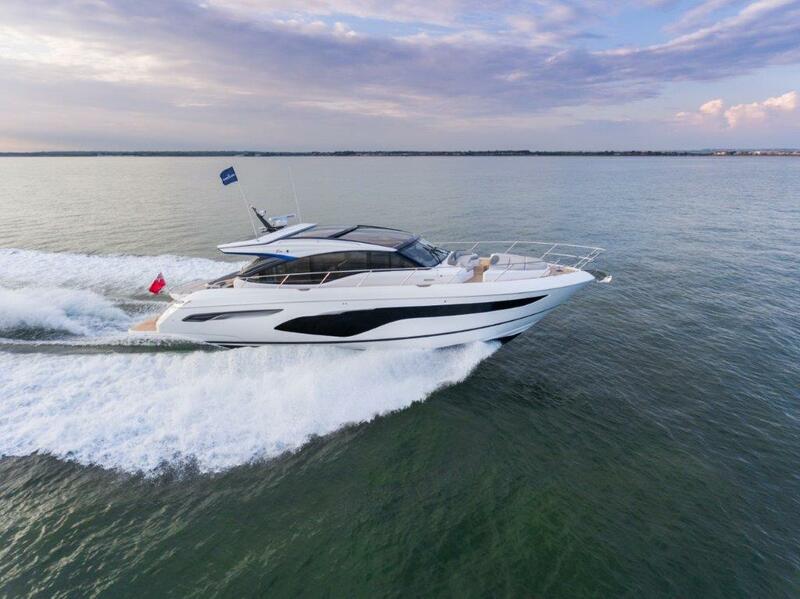 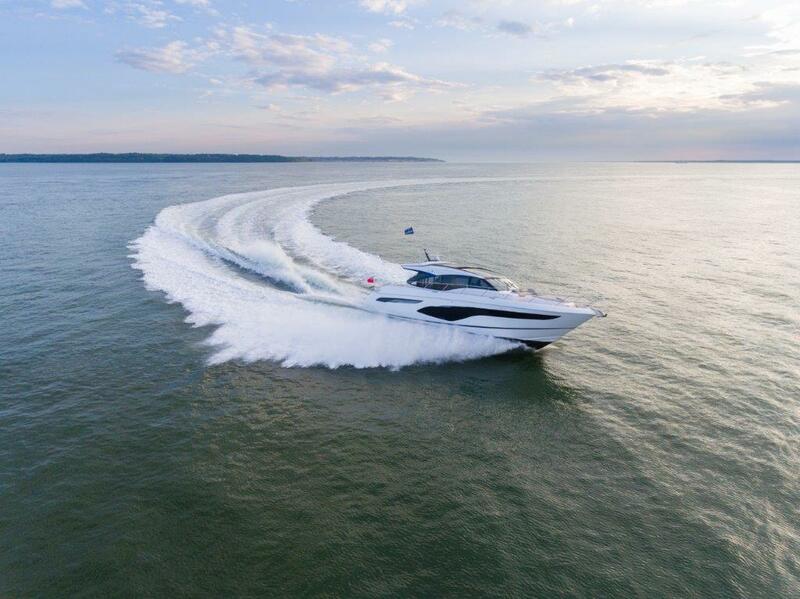 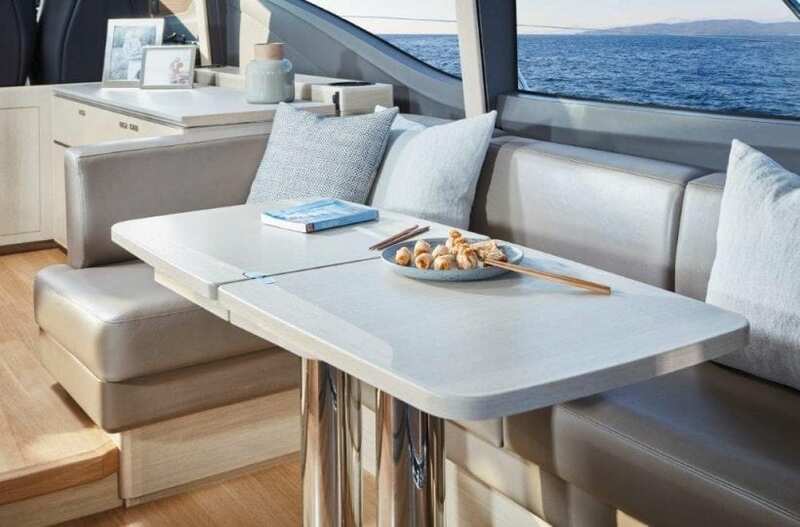 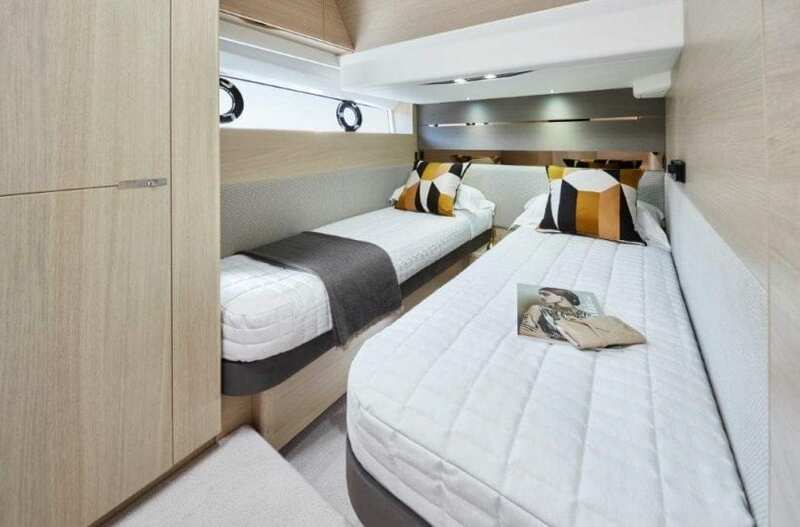 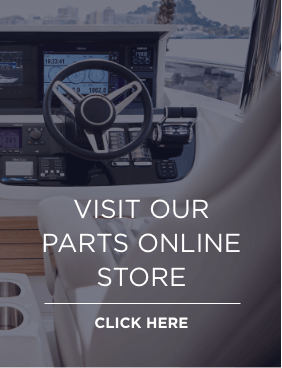 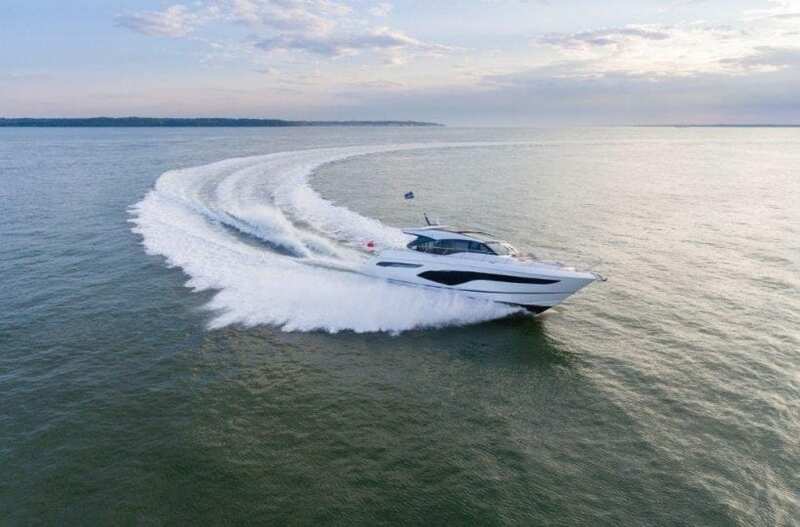 As with the new Princess V65, the V60 has been designed to inspire relaxation and socialising with the sunpad and expansive dining area, leading you onto a fully equipped aft galley. 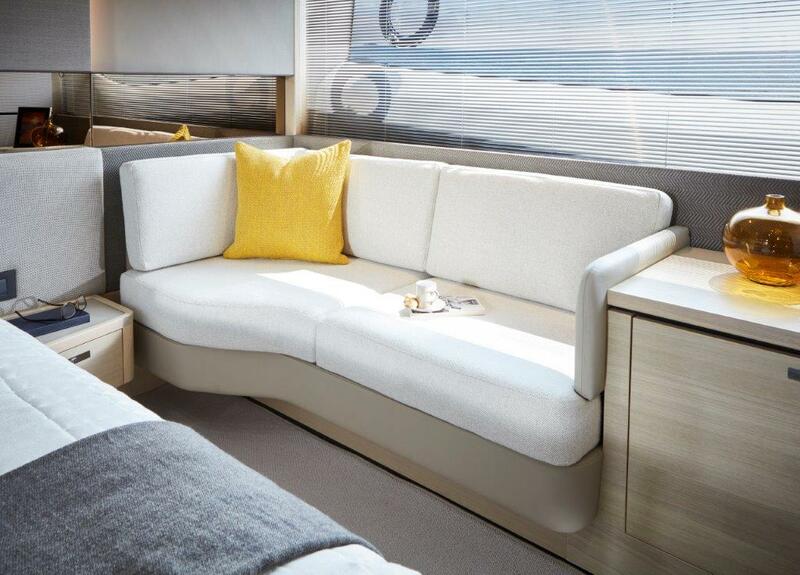 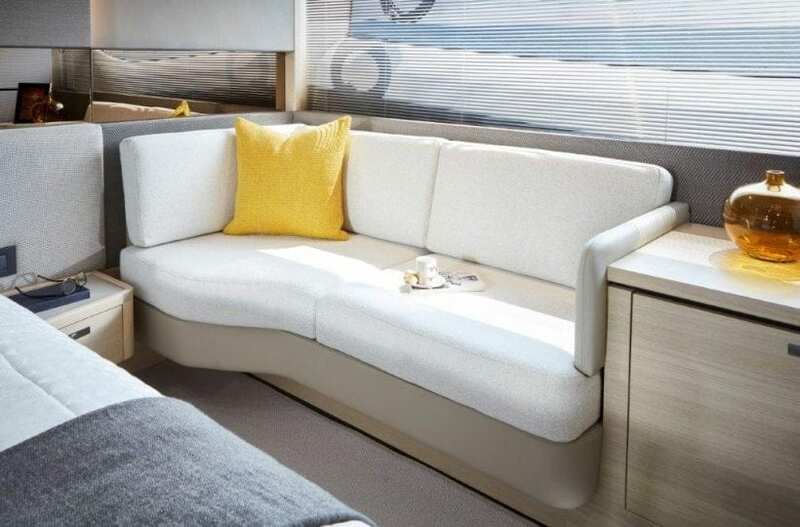 This flexible deck saloon model allows you to bring the outside in when the sun is shining, with a retractable sunroof, sliding doors and climate control. 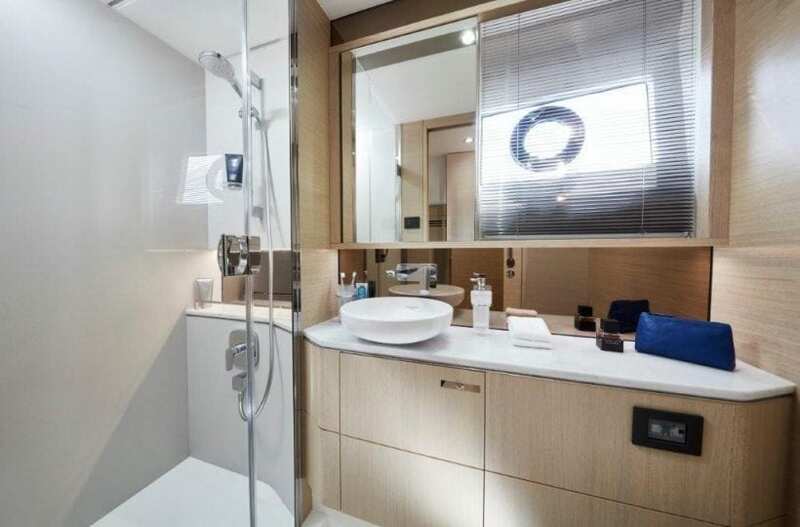 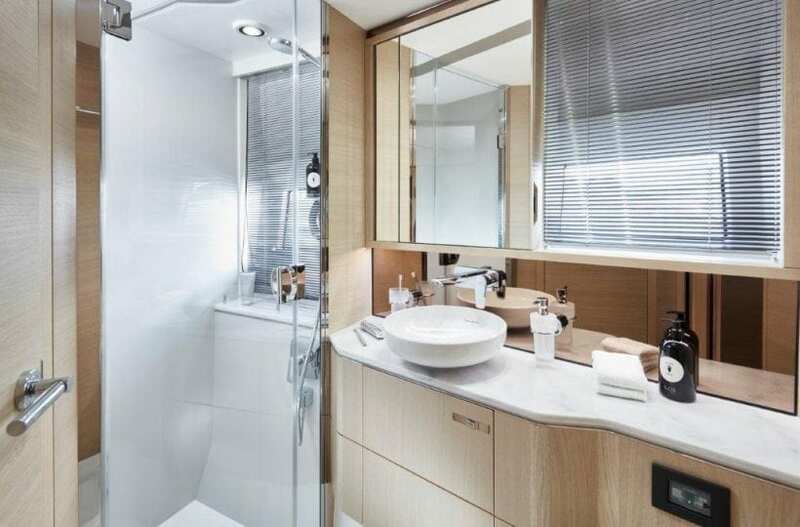 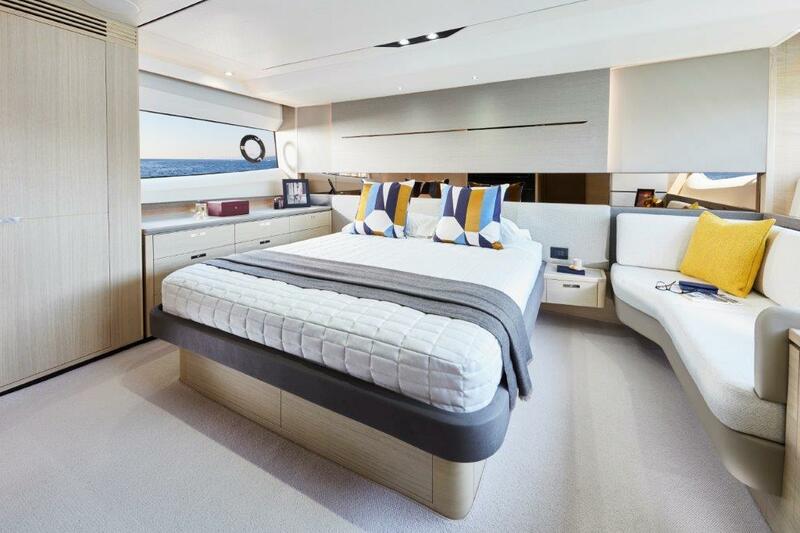 The Princess Design Studio is synonymous with the creation of beautifully crafted interiors and below deck, six guests are accommodated in three elegantly designed cabins. All cabins are bathed in natural light from elegant hull glazing, with the option of a further cabin aft for occasional guests or crew.